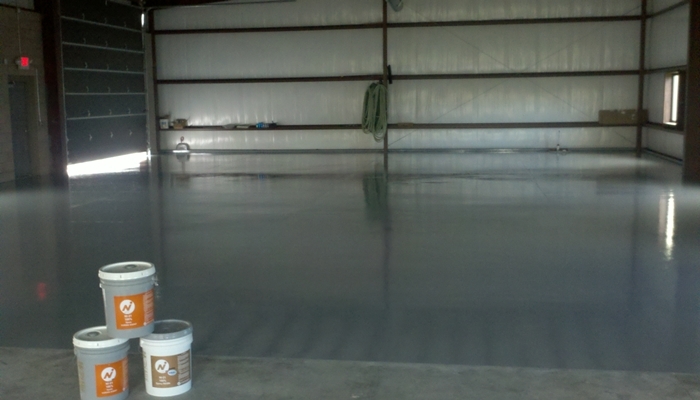 Northern Industries, Inc. manufactures many protective coatings for a variety of surfaces and applications. 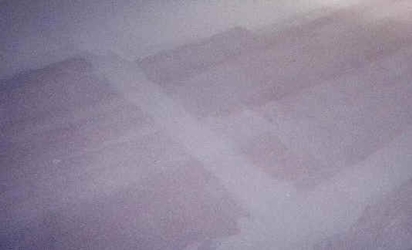 Below you see see pictures of many Northern Industries Protective Coatings. 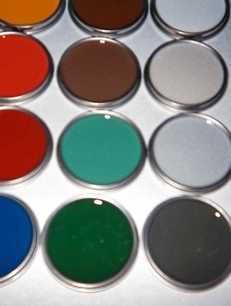 We Invite you to take this time to learn more about our coating products. 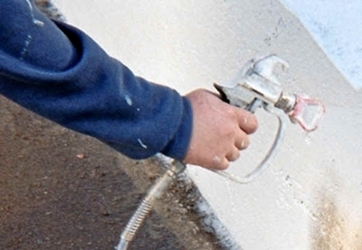 Shown here being spray applied with airless spray gun to a retaining wall previously coated with Hydro-Seal 75. Waterblast prep and re-applied without removing old coating. No Sand blasting needed. 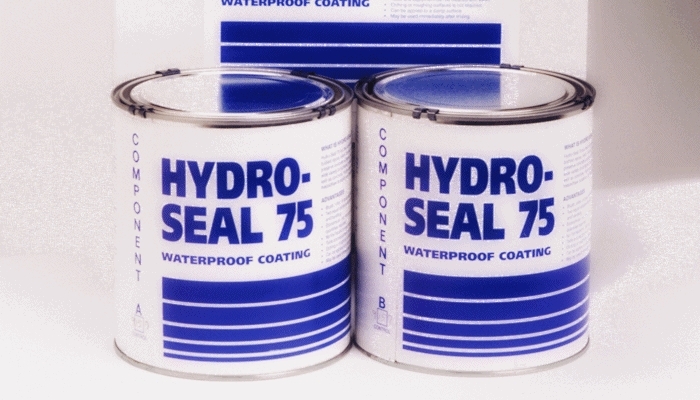 Hydro-Seal 75. 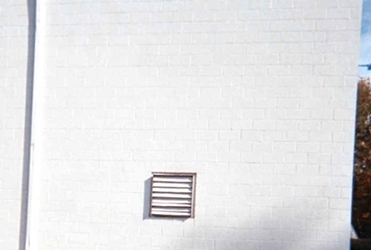 2nd picture is masonry block building coated with Hydro-Seal 75. 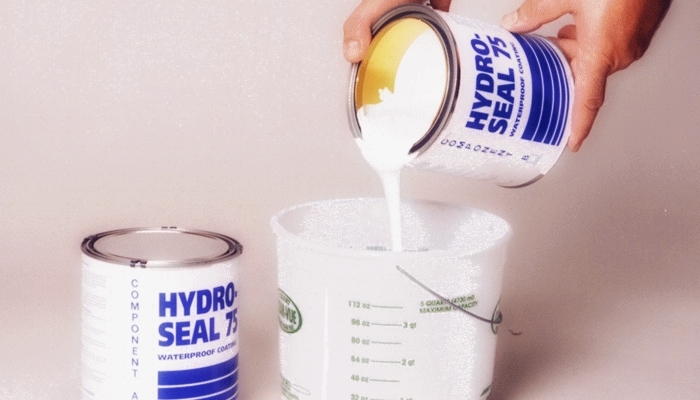 Hydro Seal 75 shown here used for basement waterproofing. NI-21 Epoxy applied to a bathroom facility to existing floor and cove base for an easily maintained, economical flooring solution. 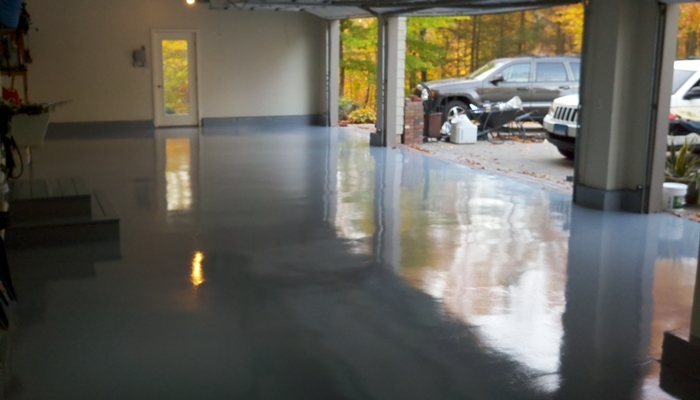 NI-21 Epoxy is odorless, highly chemically resistant, easy to maintain and re-coat. 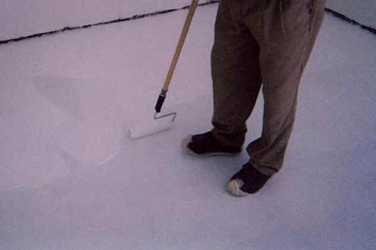 NI-21 Epoxy is available in Clear, and a variety of colors including White, Gray, Beige. 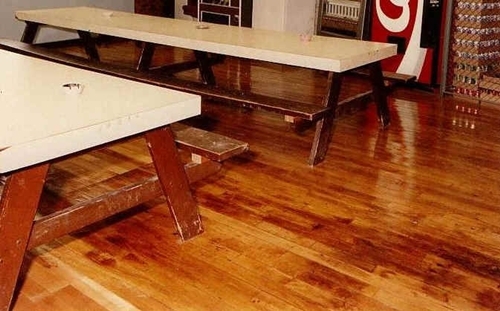 NI-56 Polyurethane shown here applied to a break room in a factory to old hardwood floors provides an easy to clean high gloss finish that wears like iron. 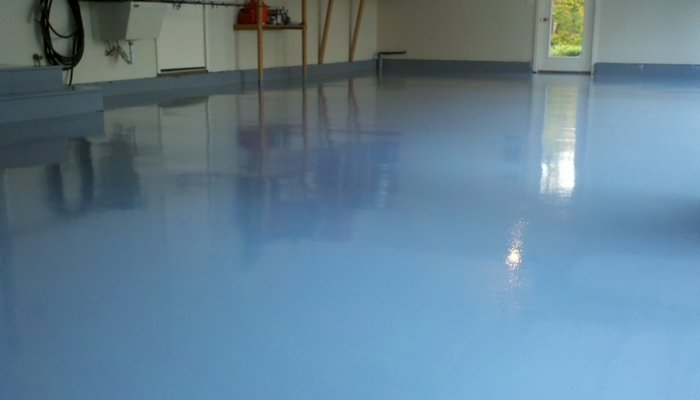 Applied with lambswool applicators or rollers, NI-56 Polyurethane is a high solids finish, great for wood floors, Northern Seamless Floors, and Plywood Concrete Forms. 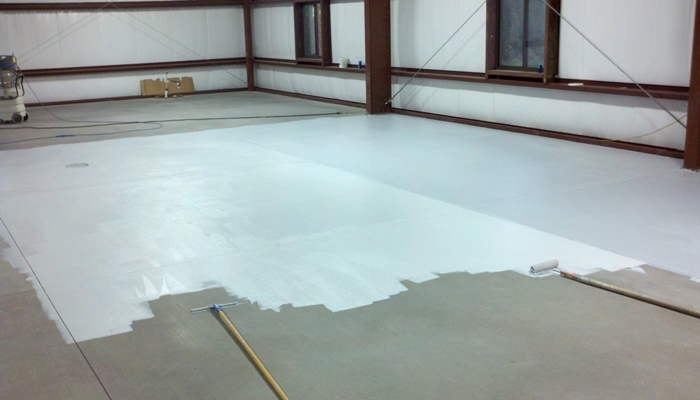 Adhere 101, a water based epoxy primer, is shown here as a waterproof primer for Northern Seamless Flooring. 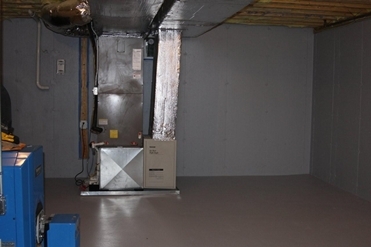 With Adhere 101 you can reduce moisture in your concrete substrate to acceptable levels before installing floor covering. 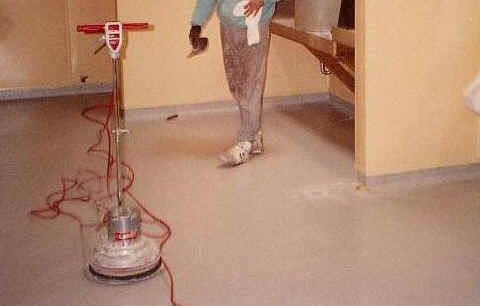 Adhere 101 is also an excellent primer for NI-Dura Vinyl Chip Seamless Floors and NI-Dura Epoxy Quartz Floors. When mixed with Portland Cement Adhere 101 is a joint compound for used with Northern Fiber-Tape for taping seams in plywood sub-floors.